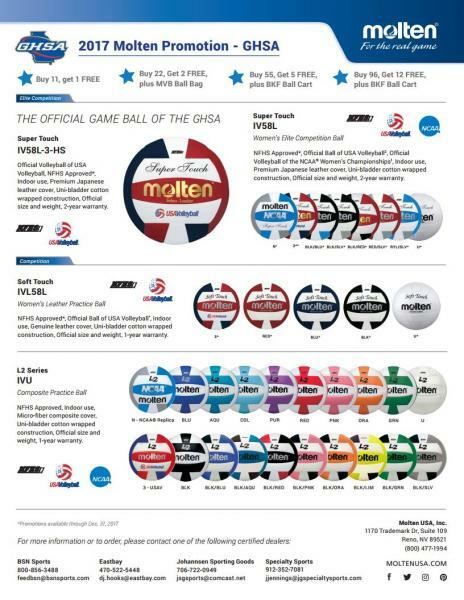 Molten is the official volleyball of the GHSA. For more information or to order, please contact one of the following certified dealers: BSN Sports, Eastbay, Johannsen Sporting Goods and Specialty Sports. Molten, For the Real Game.